Earth surface processes are the dominant family members that shape our planet and they are the counterpart of endogenic processes. They turn massive rock into mobile material, route it through the landscape and deposit it in sinks, where it waits to be recycled. Earth surface processes determine to a significant extent where and how we can live on our planet. They can be hazardous threats but also deliver the essential ingrediences to make a place habitable. 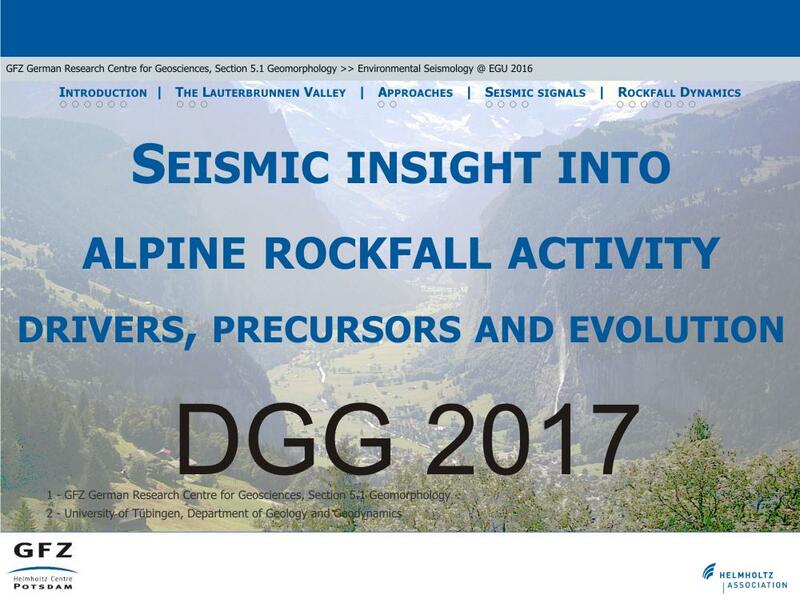 Key research interests of geomorphologists include identifying, describing, quantifying, locating and predicting mechanisms and rates but also studying links, interactions and boundary conditions of Earth surface processes. Accordingly, there is a rich variety of techniques to generate data that helps answering these questions. However, most of these techniques are specialised to a given process, location and time frame. Modern seismometers (and other acoustic instruments) are sensitive enough to measure not only signals of earthquakes but also signals of environmenal sources, such as landslides, rock avalanches, bedload transport in rivers and debris flows. This is where one of the facets of environmental seismology comes into play. Each process generates a distinct seismic signature in terms of evolution, amplitude and duration of the seismic waveform but also in terms of its spectral properties. With a network of distributed seismic sensors it is furthermore possible to locate the process due to the different travel times of a seismic wave from the source to the sensors. 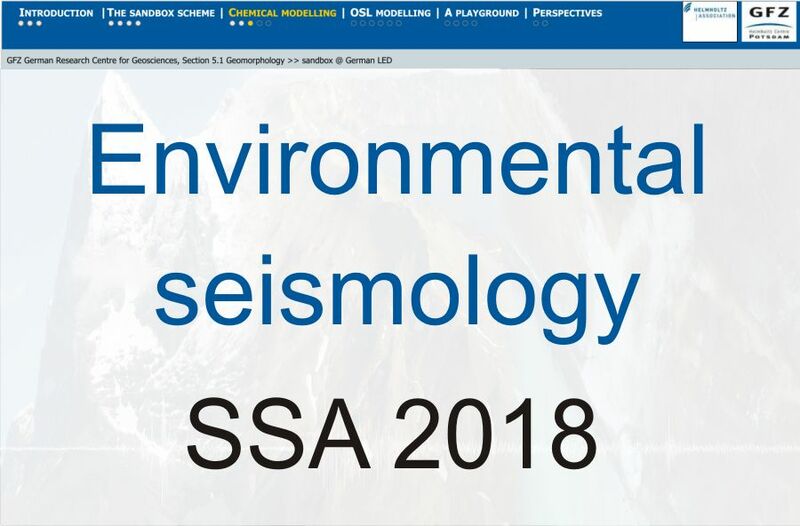 Thus, environmental seismology allows detection, identification, location and detailed description of a rich spectrum of Earth surface processes. This only recently emerged discipline field is yet a mainly undiscovered field and its potential may only be estimated based on the few glimpses of possibilities as reveald by the current studies. My current research projects revolve around the seismic signals of mass wasting processes and their rapid detection across different landscapes. In the Hochvogel Project I use a seismic network to probe the a 2596 m high solitary alpine peak at the border of Germany and Austria that is falling apart, releasing a massive volume of rock. 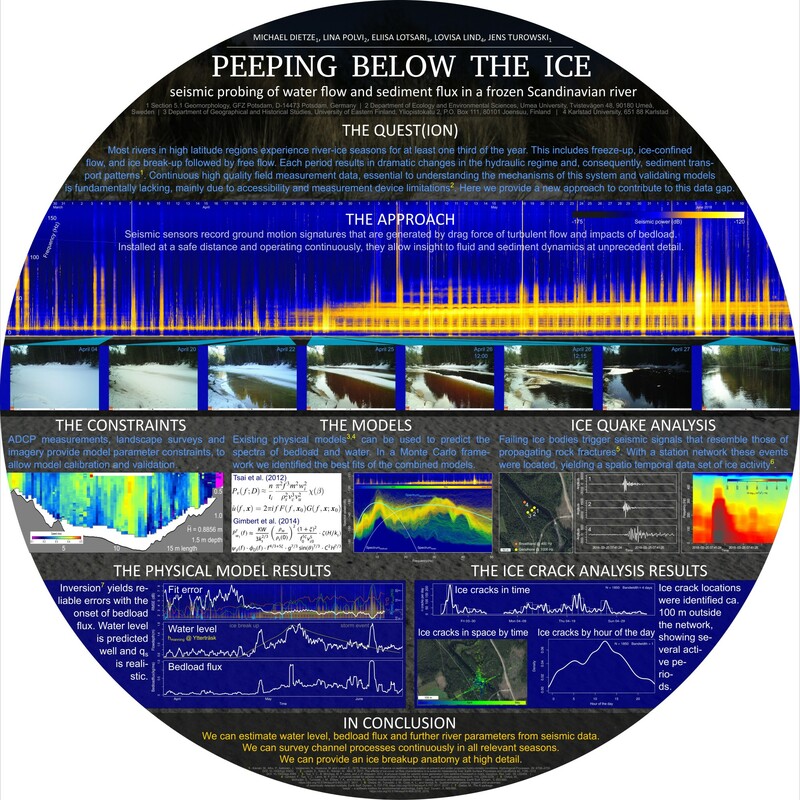 In northern Sweden, in the Icy River Project (near Umea) we study the seismic signals of flowing water and mobile sediment under a thick ice cover to provide information on these two important parameters where other methods can hardly be applied. 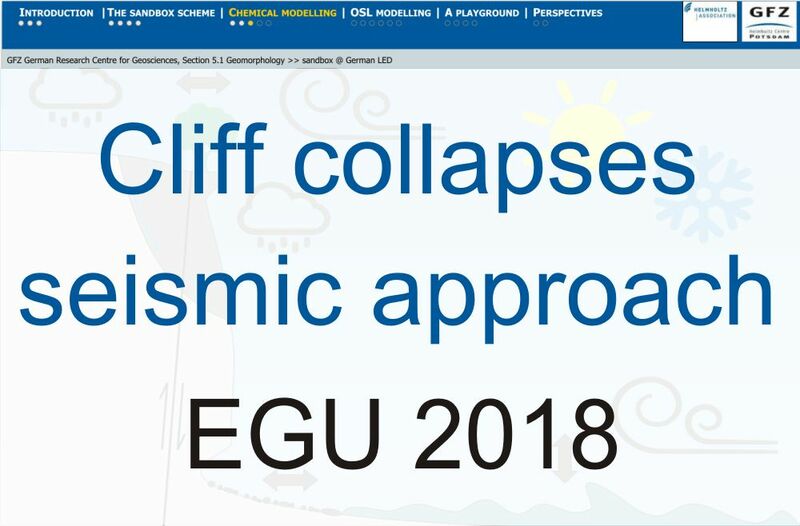 On the cliff coast of Rügen (northern Germany) I investigate location, timing and boundary conditions of collapse events. 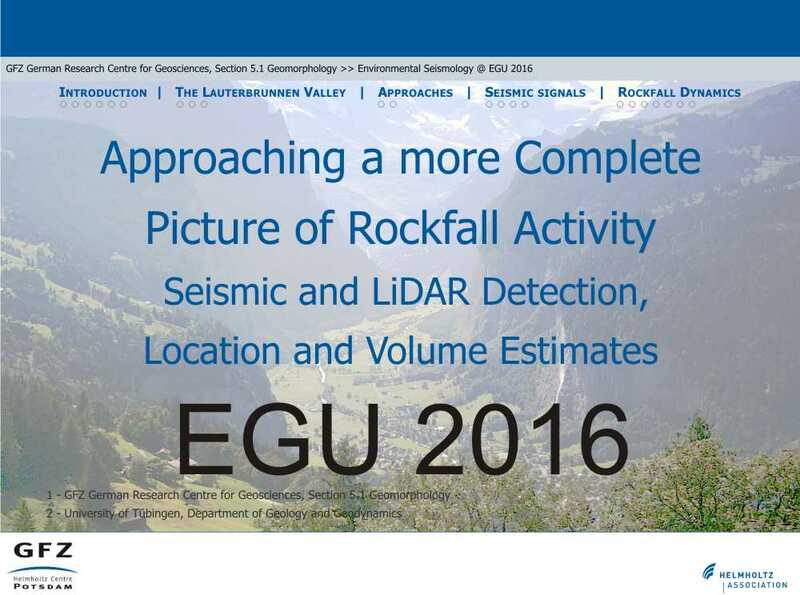 In the dissected sandstone plateau of the Elbsandsteingebirge (eastern Germany) I work on rockfall detection limits of seismic methods. The sensors also allow tracing the hydraulic dynamics of the Elbe river. The Taroko National Park (eastern Taiwan) hosts the GFZ Geomorphology Section Erosion Observatory. Equipped with seven combined meteorologic and seismic stations that deliver data every hour, the section team is able to study process interaction in one of the most extreme landscapes of the world. The catchment experiences about 2 cm/a tectonic uplift, while it is hit by several Typhoons every year. 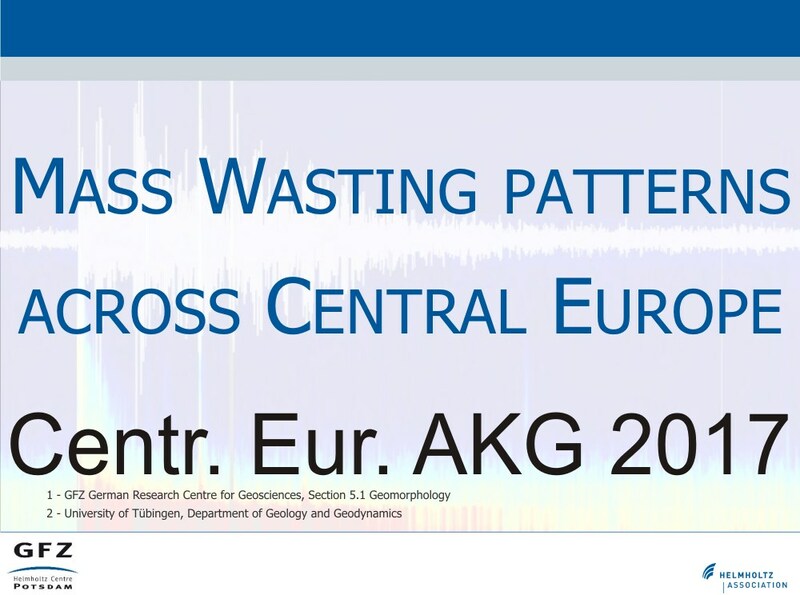 Environmental seismology is based on a massive amount of ground vibration measurements. A single seismic station generates two million samples per hour. 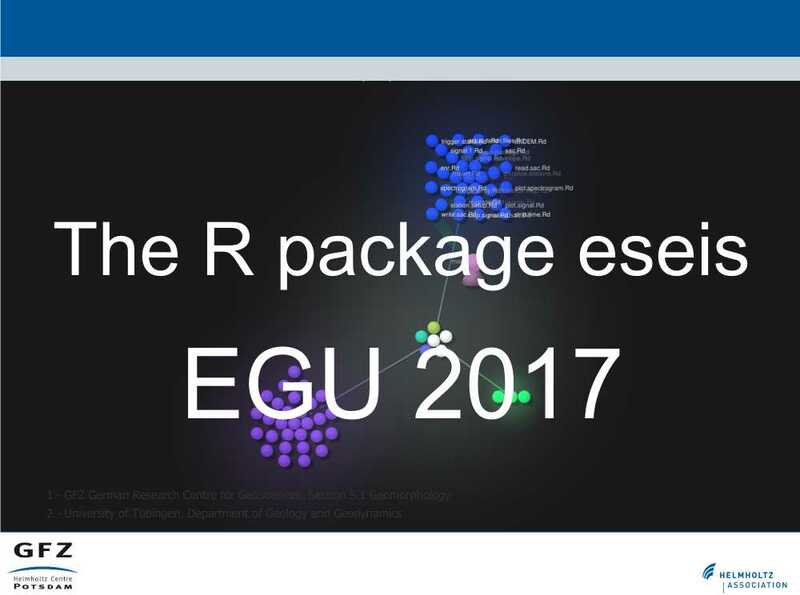 Over the decades, seismologists have developed complex, high performance methods to analyise these signals; a pool of tools environmental seismology deliberately benefits from. 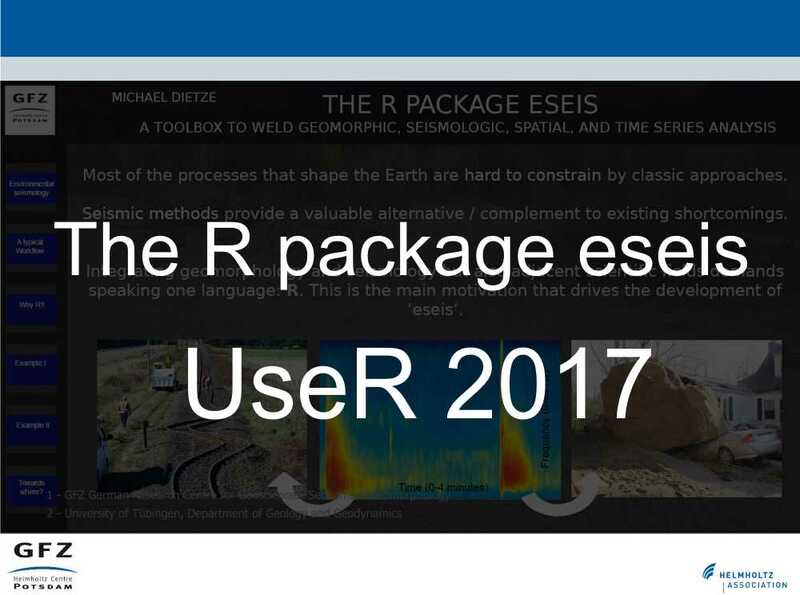 In order to provide a straightforward tool box to process seismic data, tailored to the investigation of Earth surface dynamics, dedicated to free and open software, and suporting to pass the results to further environmental analysis, the R package eseis has been developed (Dietze, 2018). See eseis website for details.